Gifted angel reader, healer and teacher. Adrianna invites you to call in for guidance and counsel from the angels. 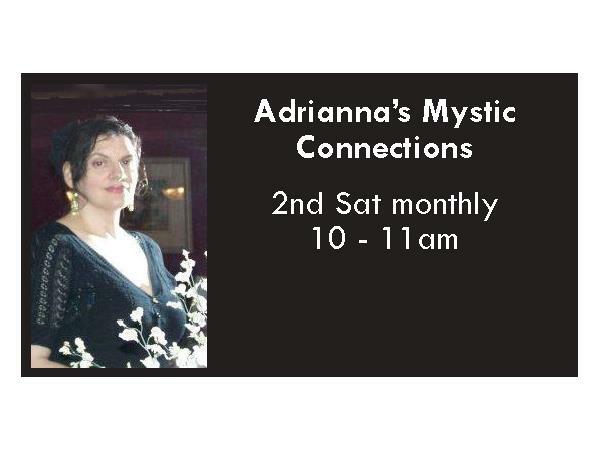 The 2nd half Adrianna will be taking callers for "mini readings." Topic: Guest Carrie Beller-Krause will join the show to discuss Change and Rebirth: The perception of change, the stages of grief, accepting change. Life is change, how to get ready for new beginnings.